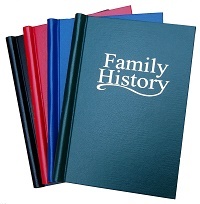 We have been asked many times over the years to sell books for you to write up your family details. 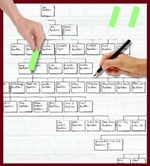 We have now published some A4 Family Tree Book pages for you to use and then insert into a binder. These attractive double sided pages are supplied on 100gram acid-free white paper although you may photocopy them for your own use. 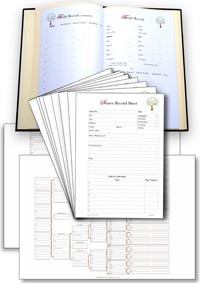 There are many book versions of this type of system for recording your family information but the publishers decide how many of each page to print whereas with our loose leaf system you decide what pages are needed and errors may be easily discarded and replaced. We will also supply a voucher to use at www.twrcomputing.co.uk where you may download printable versions or templates. Spaces for vital information, Cross referencing to page numbers, Links to source pages, Space for notes, Links for multiple marriages, Continuation sheets, Links up and down generations. 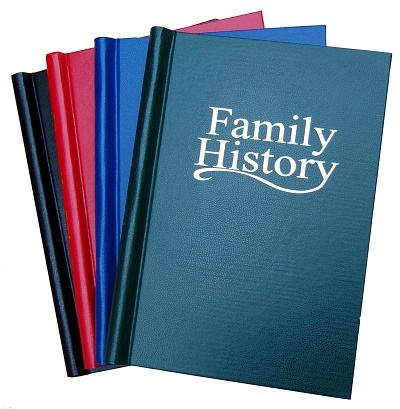 These pages not only form a book but they will also help you to organise the information you gather about your ancestors and their families. Also available printed on cream paper and 'parchment' paper. If you would prefer to order this product as a PDF template you may download it from our sister website TWR Computing. Please click here.